Pelican Publishing Company, 9781589809543, 32pp. The National Cherry Blossom Festival in Washington, D.C. is held annually in remembrance of the first cherry tree planting on March 27, 1912. 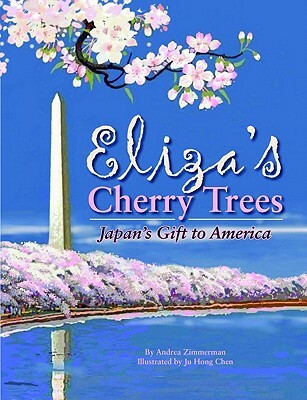 Now an international symbol of peace and friendship, the trees first came to the nation's capital from Tokyo, Japan, at the insistence of Eliza Scidmore. Able to live a life different from most women in the late 1800s, Scidmore was dedicated to her ideas. She had the opportunity to travel with family and friends and wrote the first guidebook about Alaska while there on a trip. Wanting to share her adventures with others, she became the first woman to write for the National Geographic Society. But throughout her travels, she never forgot about the Japanese cherry trees she had seen while visiting her brother in Tokyo. It took her more than twenty years, but with the help of the president's wife, Mrs. Taft; a Japanese scientist; and a lot of faith, Scidmore's dream of beautifying her hometown came true.